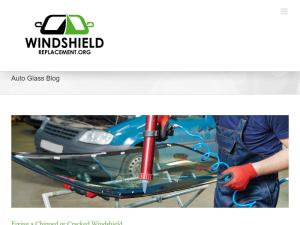 WindshieldReplacement.org provides windshield replaement and auto glass repair. Our certified auto glass repair technicians are mobile which means they will meet your at a location of your choosing. We offer a free windshield repair or replacement quote. Call (602) 900-8871 today to schedule your auto glass repair. View our windshield repair and windshsield replacement services. Get a free insurance or cash quote for your windshield replacement. WindshieldReplacement.org provides auto glass and windshield replacement in Phoenix, Arizona. Fixing chipped or cracked glass is essential to maintaining your vehicles structural integrity. Chipped or cracked glass significantly increases the chance of your vehicle having a structural failure. The post Fixing a Chipped or Cracked Windshield appeared first on WindshieldReplacement.org.